How Can You Become Fluent In A Language From Home? What does it take to become fluent in another language? Maybe an example here will help you realize it's more possible than you think. At any stage in life. The right resources can be a huge help. Take Carlos, a Spanish guy who lives on the outskirts of Madrid. He works eight hours a day, does the shopping for his household, and wants to keep healthy by going to the gym. Life is great, right? But he faces a problem. He wants to improve his French, but he always runs out of time and keeps putting it off to tomorrow. No question, many of us can relate. Carlos has quite strong foundations in his reading and listening comprehension in French, but he isn't very fluent as a speaker. In fact, he's rather intimidated whenever he speaks French. Carlos can't afford the ongoing cost of private lessons, and he also found himself lacking discipline in self-study. After all, it was the speaking that he needed work on anyway. Then he discovered a great solution: language exchange. After searching for awhile, Carlos discovered the Meetup platform and found several French-Spanish language exchange groups in Madrid. He decided to try the new experience and everything went well: people were very welcoming and the environment was quite natural for him to practice French. Still a problem remained. In spite of living near such a populous city as Madrid, when it came to time and location flexibility, these type of Meetups remained rather limited. In the language exchanges he did attend, Carlos learned something beyond French language and culture. He learned he could also do language exchanges from home! This started Carlos on a search. Soon he discovered Langademy, an online language exchange social network allowing participants to learn from home and on the go! Langademy allows you to create online meetup exchanges in most languages. It allows you to gather people who want to share their language at the same time. Even more, each Langademy user has a timetable, where they can share their available hours with the rest of the community. So through Langademy, Carlos began to create French and Spanish online meetups for people who were able and interested in teaching French and learning Spanish. He also made some custom searches to find French native speakers. By doing this, Carlos started to meet new people all over the world! Over time, Carlos met many French partners for his daily talks. With each session, he felt more confident, more fluent. But truth is, finding a great exchange partner is not always easy. Some of them went too easy on Carlos, others went too hard. What is more, he didn’t always click with his partners. Personality issues can arise anytime, and this is certainly true online. Since Carlos was new with all this, it was important to him to find a “guide” through the process. He was searching for someone who knew the basics of language exchange, someone who could ensure the practice sessions would be profitable. After a few tries, Carlos met Camile, a kind native French girl, through Langademy. 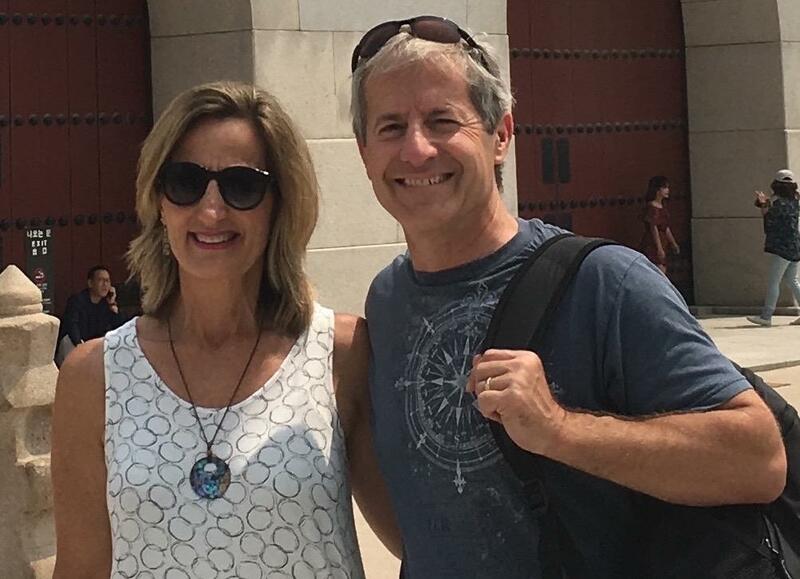 Conversation exchanges weren’t new for her, and she also was looking for a long-term language exchange partner. The two of them began to meet online more frequently, with growing success. Carlos began to taste success, becoming more confident and fluent along the way. Plan ahead. Carlos and Camile would speak 30 minutes in French, and 30 minutes in Spanish. If the sessions weren’t planned ahead, they would waste valuable time. Be sensitive to your language-exchange partner. You aren’t just learning his/her language, you also must speak in your own language. Don’t correct grammar all the time. Rather, make an effort to understand your partner so both members become more fluent in the other language. 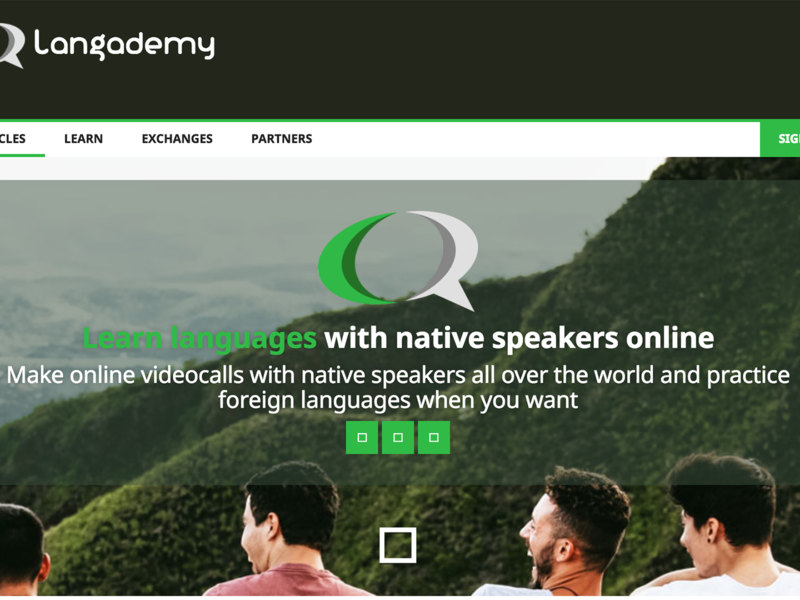 As a language exchange platform, Langademy offers features to help the language learner, as well as those involved in language exchange, master the process. Langademy provides a Time-Banking mechanism. Namely, the amount of time you use for speaking in your native tongue with language learners is added to your account so you can use it to learn – and become more fluent in – another language. Langademy also offers a calendar for you to create and schedule meetups. What is more, the platform provides suggested topics and allows for a vote on the topic before the online meetup takes place. Does Carlos’s Story Resonate with You? Not all of us have the time or money to go to private language lessons or to undertake journeys halfway around the world in order to learn a language. And many of us struggle with accountability when we're trying to do it on our own. To become fluent in another language, continuous practice is important and online language exchanges can be a good way to start – and extend – your language-learning adventure from home. So, go online and give Langademy a serious try! It's a fun, collaborative opportunity to not just learn and improve your language skills, but also to learn culture and share your own as well!